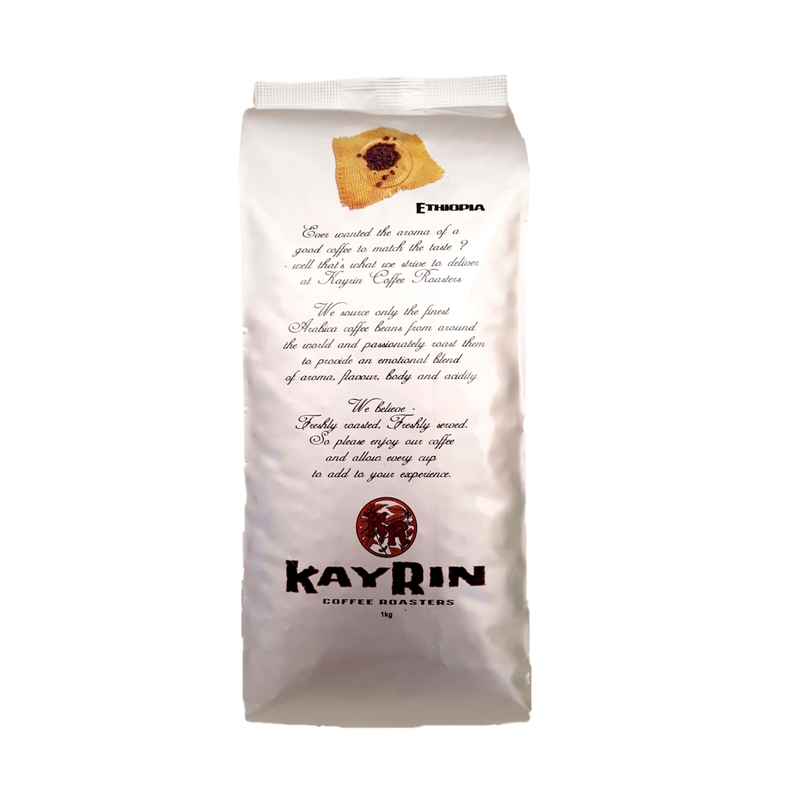 With an Earthy aroma, sweet flavour and added crema. Caffe Origem should be enjoyed as an espresso. 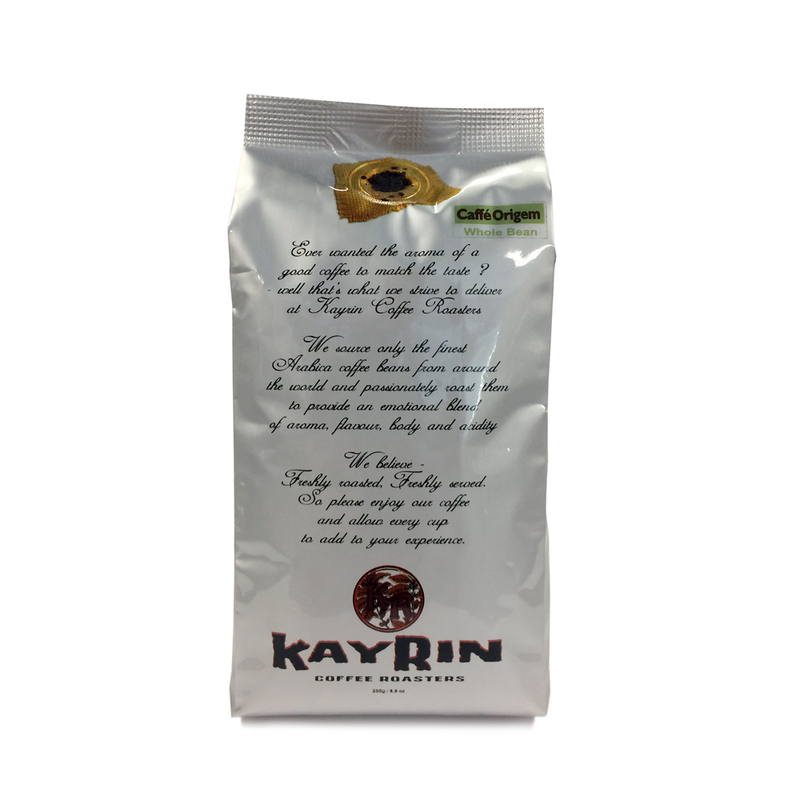 Beans from the birthplace of coffee, add the slight pungency and distinct fruitiness of this well balanced, full bodied South American blend. 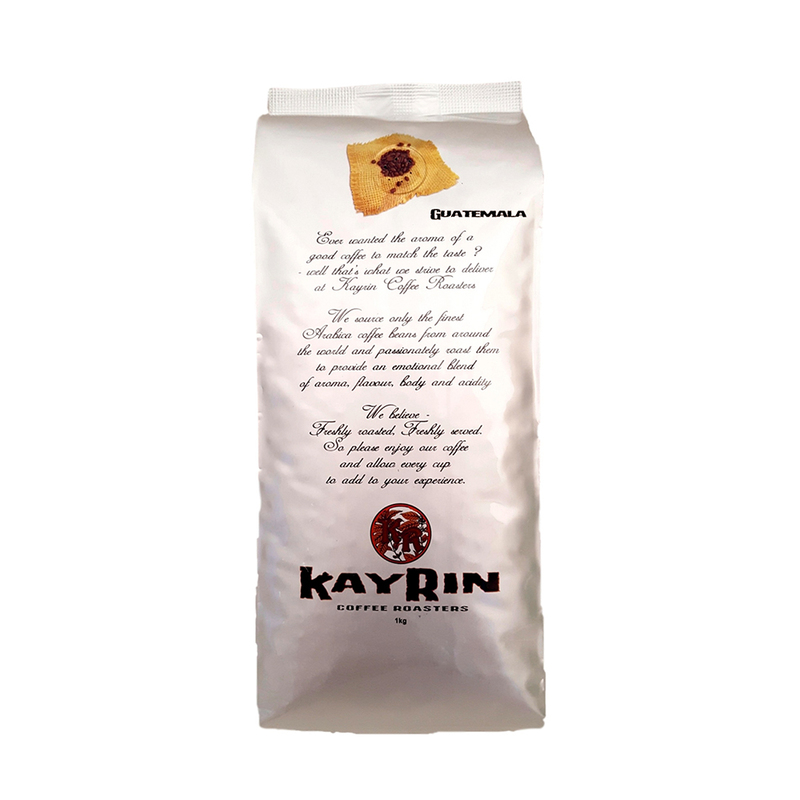 With an Earthy aroma, sweet flavour and added crema. Caffe Origem should be enjoyed as an espresso. 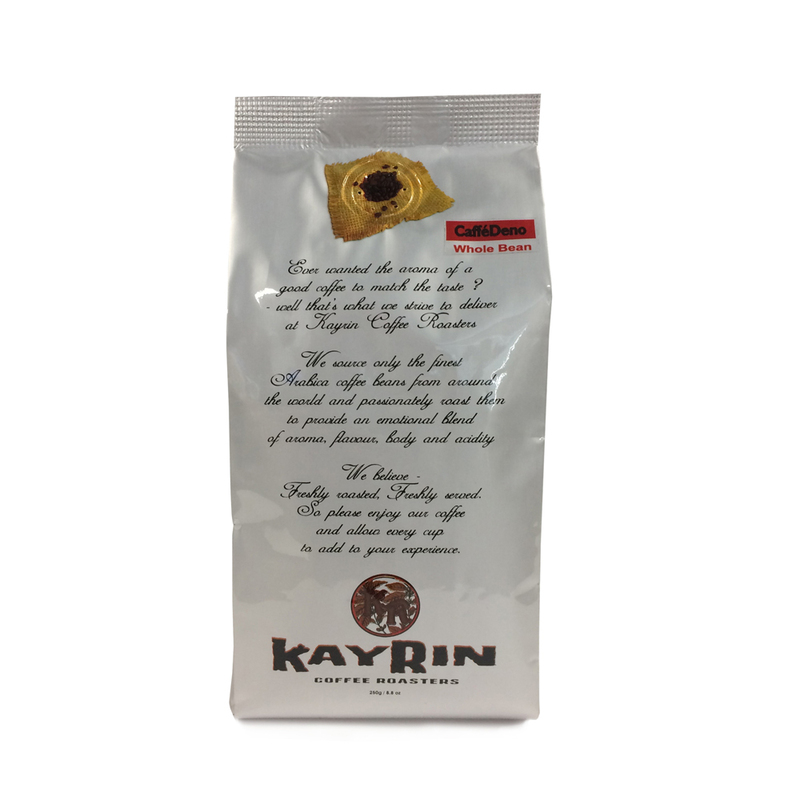 A seductive aroma, chocolaty, rich flavour and a slight crisp and refreshing acidity. Cafe Deno can be enjoyed anytime. Medium, juicy acidity with enough body. 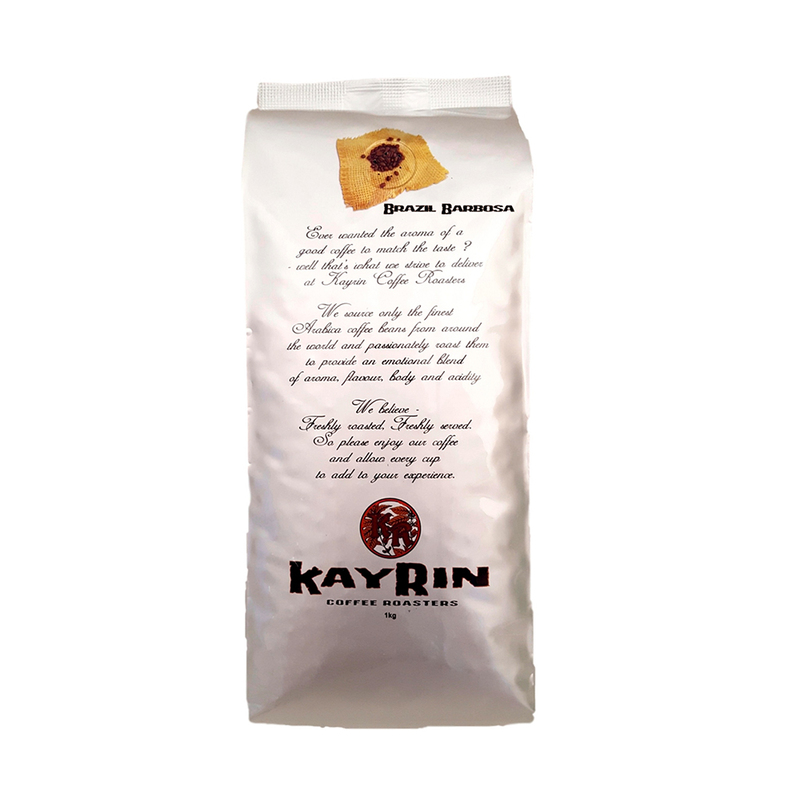 Delicate peachy / litchi flavours with a syrup mouth-feel and hints of dark chocolate in the after-taste. Citric acidity with good body. Complex apricot flavour with slight dark chocolate notes in the after-taste.